Jersey Beats-Oh What a Nite! It’s the show night out not to be missed – wowing crowds in Blackpool since 2014, and now touring the country – OH WHAT A NITE! is a different style of tribute show to any other that you will have seen or heard of before. Matt Andrew leads our vocal quartet as our tribute to Frankie Valli – telling the story of the band and how they formed the group which took them to the dizzy heights of television appearances, fame and fortune… all performed alongside an amazing trio of vocal talent – Johnny, Michael and Toby who take the roles of Nick Massey, Bob Guardio and Tommy Devito. Comedy host Leye D Johns can’t be kept away from the stage for too long either, bringing a light hearted flavour to proceedings and ensuring the crowd leave with a big smile on their face. Our Viva showgirls complete the cast line-up – bringing the moves of the 60s and 70s to the stage as well as backing vocals, and solo numbers of their own bringing the era back to life! 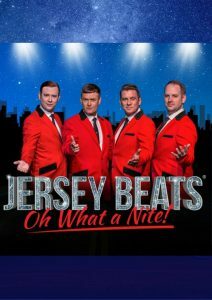 The show also has a way of bringing current hits to life too, with that same Doo Wop style – again making OH WHAT A NITE! different to any tribute show you’ll ever see! 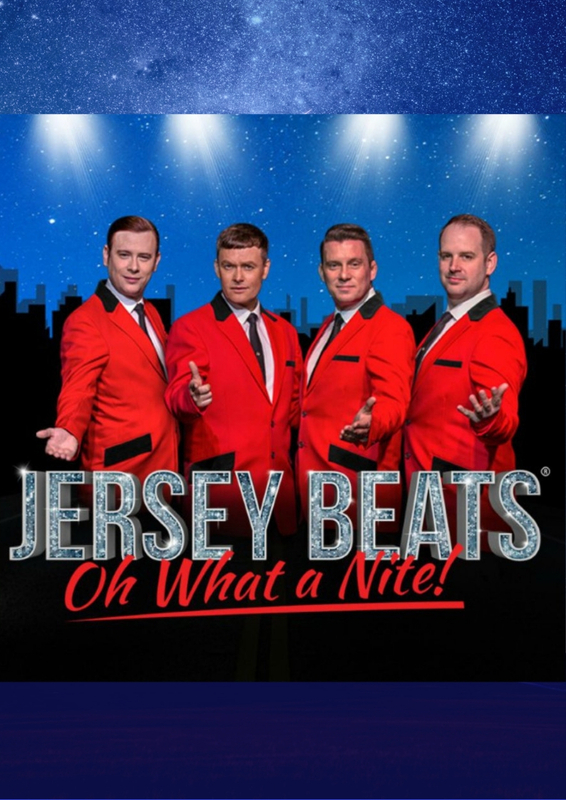 Stunning costumes, choreography, production and more – all to take you back to the era when hit song, after hit song had ‘The Four Seasons’ famous around the World.